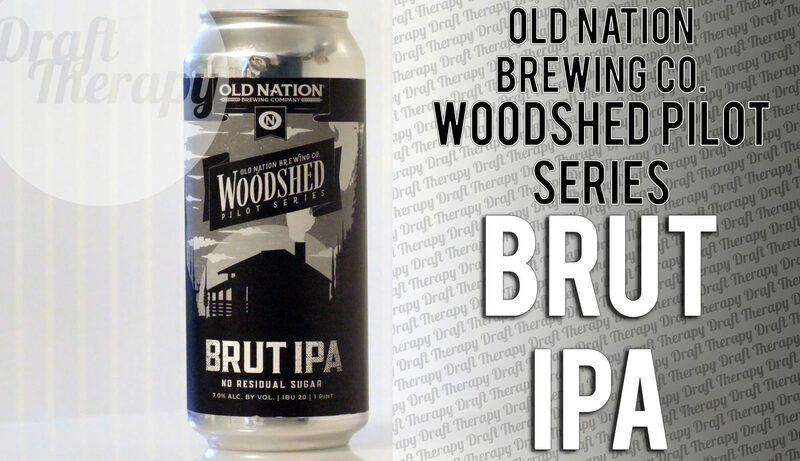 Old Nation’s Brut IPA is part of their Woodshed Pilot Series, and is their first Brut IPA. It uses the same recipe as Old Nation’s extremely popular M-43, but it’s further refined through a brut brewing technique – the technique results in a brut IPA very low residual sugar and a low carb beer. It sounds like a dream, but how does it taste at 7% ABV? Well, that’s why you’re here, so sit back and find out!